As it turns out, eating a banana every day can be great for you, and here are 9 reasons why. 1. 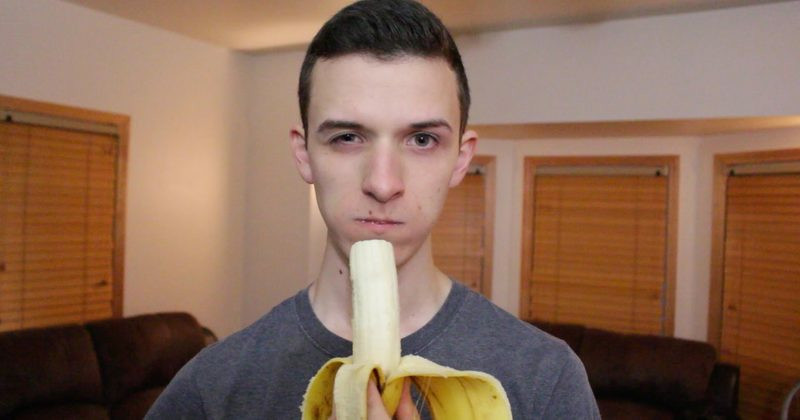 You should try to eat a banana if you’re stressed out. They control your blood pressure, give you energy, regulate your digestive system, and they contain tryptophan, which can help relax you. 2. Believe it or not, bananas can help you cool down. 3. Bananas naturally prevent/treat heartburn. Although experts aren’t sure why, bananas can act as a natural antacid (and are definitely more delicious than chalky tablets). 4. The fiber in bananas can help with constipation. Backed up? Eat some bananas. They’re a great source of dietary fiber, the roughage you need to eliminate successfully. They also contain pectin, which may soften up some of the stuff you have in your system. 5. Eating bananas can help lower your blood pressure. Since bananas are a source of potassium, eating them can help lower your blood pressure. 6. They’re a great source of energy. Eating a banana before exercise can give you energy. They’re a source of Tyrosine, Vitamin B6, and natural sugar, all of which will help give you a surge of pep. 7. If you’re anemic, you should eat bananas. Anemia, which is basically a hemoglobin deficiency, is a very common blood disorder. It can make you feel fatigued (among other things). To help your anemic body out, you can eat bananas, which are a source of iron. 8. Bananas are safe to eat if you’re suffering from a stomach ulcer. There’s something known as a “sitoindoside” in dried, unripe bananas that can help increase mucus in the digestive tract. That mucus can serve as a protective coating that can help prevent and heal ulcers. Not only that, but bananas can also promote cell growth in the GI tract. Basically, if you’re having stomach issues, eat bananas! 9. If you are feeling depressed, eat a banana. Or, rather, consistently eat bananas. They contain B vitamins and other helpful compounds that will improve your mood and give you energy. “An apple a day”? Psht. Eating a banana a day will keep every bad thing ever away.